I was casually browsing through the photo album on my iPhone, checking photos of this forgotten place, when I saw her running towards me. She wasn’t that far away, but I thought she looked a bit frightened. I was puzzled, but suddenly she yelled »Let’s go. Let’s go!« I didn’t know what was going on, but then she said »I heard someone’s coughing in the bushes and it was totally creepy.« We jumped into the car, checking the rearview mirror and drove away. It all started about an hour before, on a sunny Saturday in Dubrovnik, probably the most famous city on the coast of Croatia and in the Adriatic Sea. 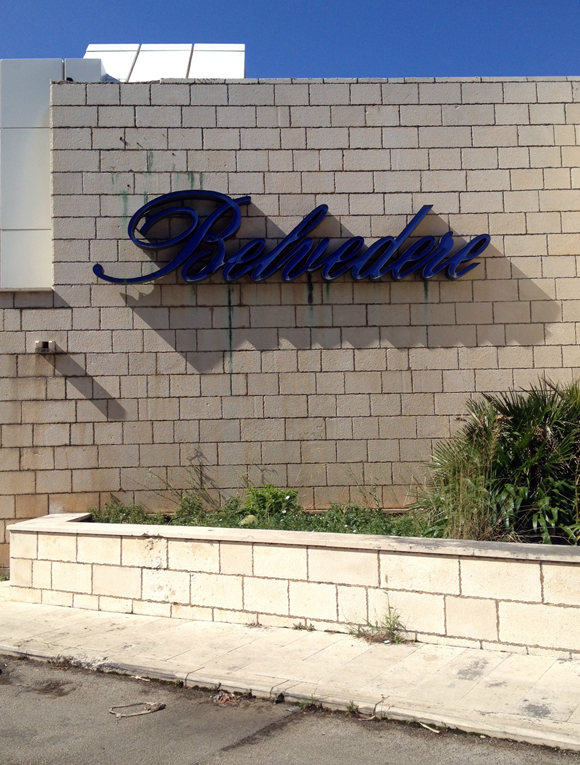 We left our apartment and slowly drove to hotel Belvedere, which is located just outside the city. 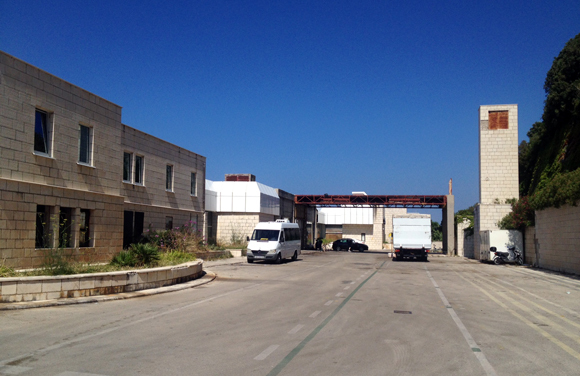 I first heard about the hotel when I was doing a research on Game of Thrones filming locations in Dubrovnik. 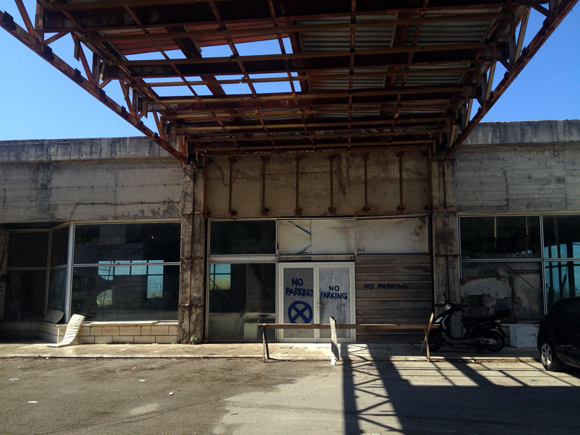 During our stay in this lovely city on the Adriatic coast, we found several places from the HBO’s hit show. You can read more about my tour in the blog post My own private Game of Thrones tour in Dubrovnik. Hotel Belvedere has a short but very fascinating history. 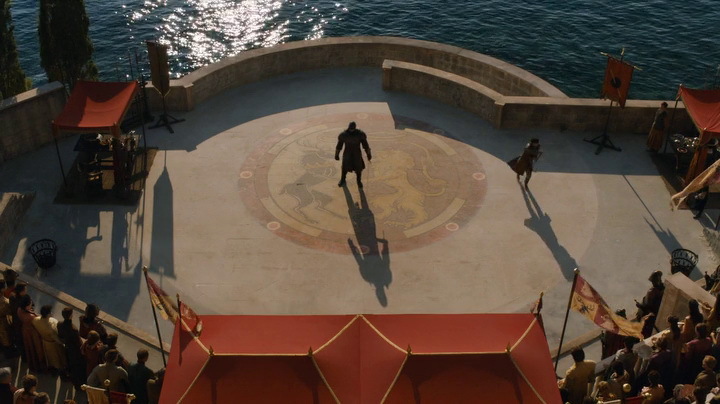 For me it was interesting mainly because of the setting for the battle between prince Oberyn and The Mountain that occurred in the fourth season of Game of Thrones. 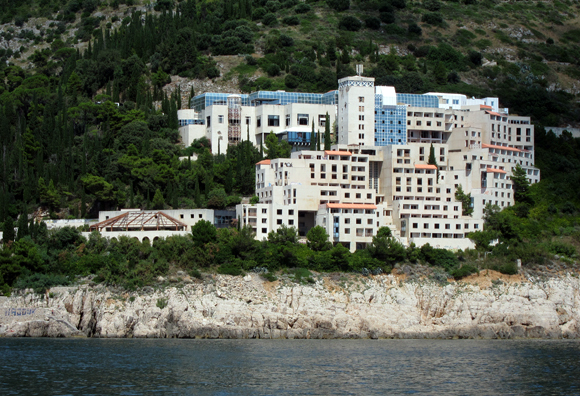 This exclusive five-star cascade building is located on the outskirts of Dubrovnik, some 2 kilometers southeast of the Old town and is positioned on the steep beach. The hotel has 18 levels and had 223 accommodation units and even its own boat launch. It was built in the eighties as a luxury hotel and started receiving guests in 1986. 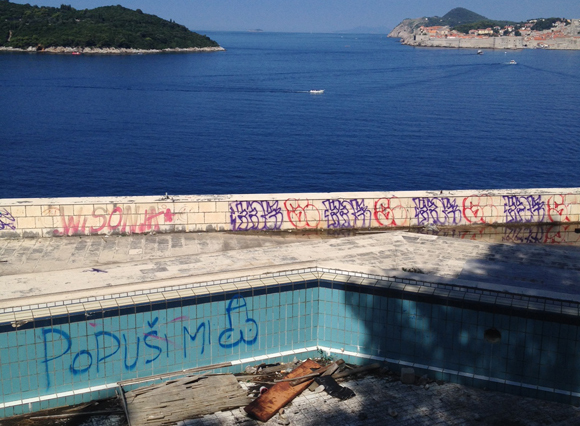 Unfortunately the hotel was destroyed in 1991 during an attack by Serbian forces on the city of Dubrovnik in the Croatian War of Independence. During the first few months of the war in the former Yugoslavia, the hotel had served as a refugee shelter. 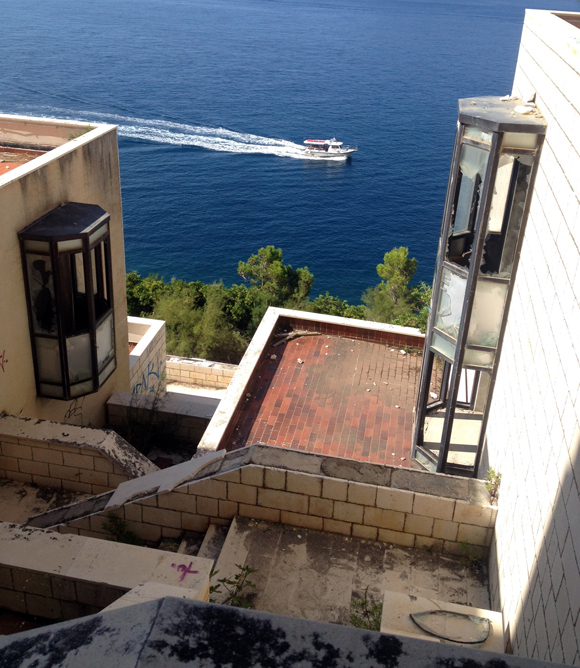 Today the hotel is abandoned, although it was sold at the public auction in May 2014 for slightly more than 12 million Euros. The new owner is Russian billionaire Viktor Vekselberg, also known as the man who possesses one of the greatest private collections of Faberge’s eggs. In 2004 he bought the collection of Fabergé Imperial Easter Eggs from the Forbes family. Currently there are no official information about Mr. Vekselberg’s plans with the hotel. But let’s get back to our expedition. 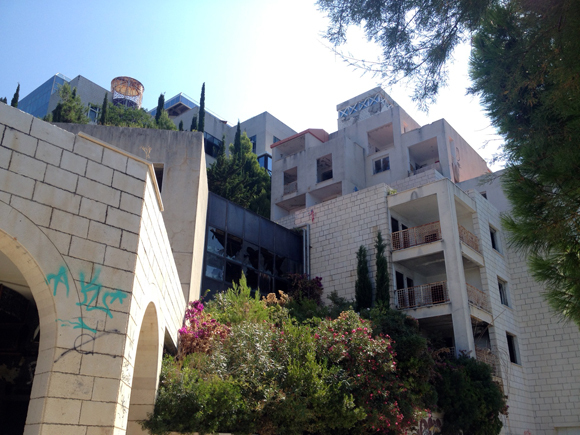 We drove through the narrow streets of Dubrovnik and found the hotel easily. It was a quick ride. We didn’t expect to have company to be honest, but when we arrived to the hotel we saw a middle aged guy who was washing his fairly old car in front of the main entrance. “Hello!” I yelled and waved to the man. He said something but I didn’t understand so I approached. I didn’t know what to expect, but if someone’s using water from the hotel, he must know something. “No. The hotel was sold a few weeks ago. They let all workers go and we’re not showing the place to tourists anymore” said the guy. Damn, I thought, just a while ago they let tourists in and workers even operated as guides. What a bad luck. There wasn’t a choice at all: we took the stairs into the unknown. Think about stone stairs going down, broken benches, empty beer cans, trees and bushes and a big empty hotel on your left. You’re going down and down and suddenly you’re at the crossroad. One path in going right and it’s probably the way to go, but the other one will take you to the left. It will take you right into the hotel. All of a sudden I felt a new sensation: an eerie excitement. Should we go in? Is somebody there? Who gives a f**k, let’s go! Are we sure? We carefully stepped into the destroyed hallway and entered the hotel. Another feeling crept in: sadness. 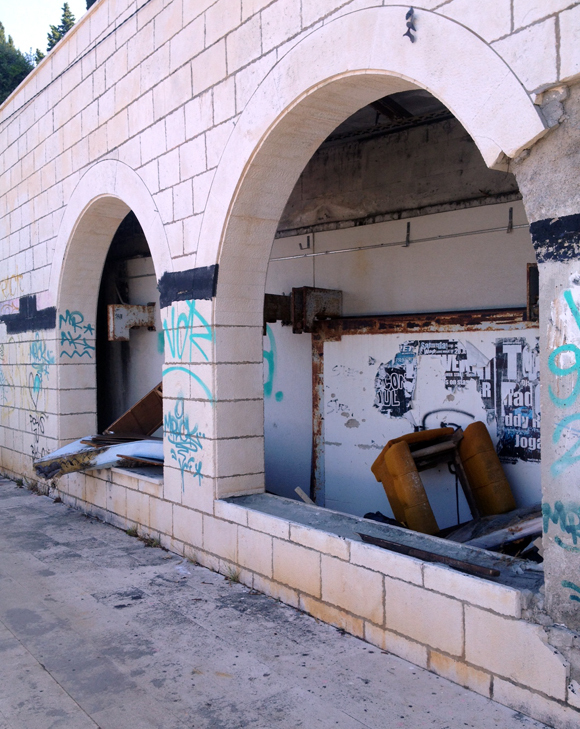 Once a remarkable building with an amazing staircase was now a deserted place, forgotten by everyone. Full of broken doors and windows, shattered glass, beer cans … It looked deserted but somehow we got the feeling that we might not be alone in this place. We snooped around a bit, checked what once were the hotel rooms, and decided to get out of the hotel and move back to the original path. 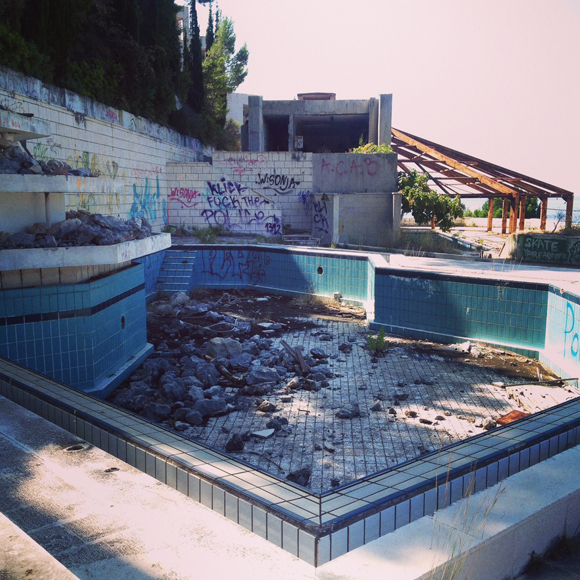 Soon we discovered an abandoned pool and a place that once stored some heating machines. Everything was in ruins. We continued with the descent and then found the place that was our main goal: the small amphitheater, which was a setting for the Game of Thrones a few months ago. Unfortunately there were no remains of the TV show. I’ve checked the debris and kicked a few cans just to stumble upon anything. Nothing. As if there was no filming at all. 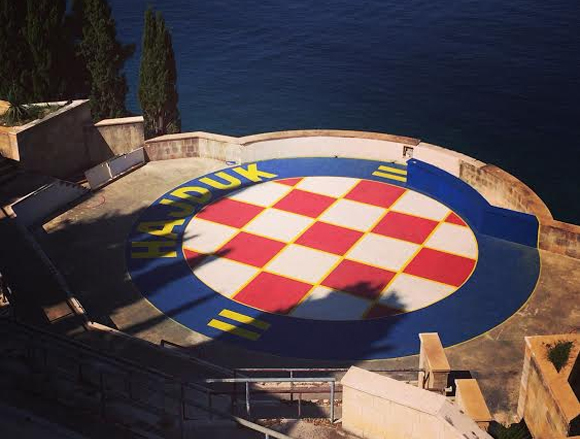 But then we had realized we came to the right place after all – it was just that soon after the filming ended some local football fans painted the scene of the battle with the crest of Hajduk, the football club from Split, the second biggest Croatian city. We poked around a bit and decided to return to the car. When we passed the entrance to the hotel again we discussed about taking a second look, but decided to skip it. It’s a fascinating place, but on the other hand it looked a bit dangerous. We slowly continued our climb to the top. It was hot and our legs felt heavy. When we got to the car I felt relieved. We found the place; we were true set-jetters.